Pretty much as everyone expected and Elvis Costello, too. From the camera to pricing and Touch ID (fingerprint sensor) to colors, Tim Cook, Phil Schiller and Craig Federighi hit all of the anticipated iPhone 5S high notes. As always, the details are both intriguing and there is a lot to pour over — step inside. • iOS 7 with new Control Center, AirDrop and iTunes Radio, as well as improved Notification Center, Multitasking, Photos, Safari and Siri. Unlike the the iPhone 5C (Friday the 13th), the iPhone 5S cannot be pre-ordered and will be available both in-store and for online purchase on Friday, September 20 (US, Australia, Canada, China, France, Germany, Hong Kong, Japan, Puerto Rico, Singapore and the UK). 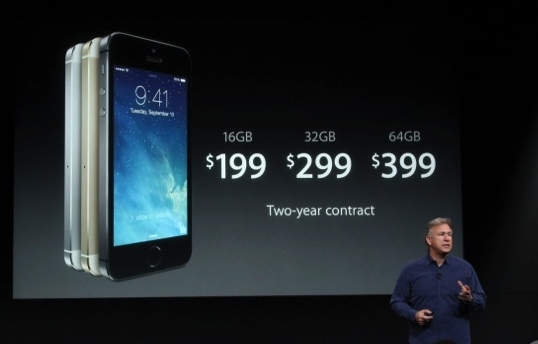 Yes, China gets the iPhone 5S day and date along with the US, etc — a major play for Apple. How Are Smart Technologies Slowly Adapting to Take a Larger Role in Our Lives?